Thank you very much for the overwhelming response to our Early Bird Registration for the 8th International Urban Sketchers Symposium (happening in Chicago, USA on July 26-29 2017). We sold out in a few minutes, considering that there were so many sketchers all over the world, all logged in at the same time, to get a limited number of passes. If you missed the early-bird workshop registration, don’t worry -- there's still plenty of time to secure passes and select your workshops. Standard registration opens on Saturday, February 18 at 5 pm CST (23:00 GMT). This year, we are offering passes at two levels: Workshop and Basic. To learn more about the levels of Symposium passes, click here. Programming and faculty details are available on the Symposium Site, and the schedule is available on the Schedule page. Keep in mind that this event is likely to sell out. There will be no onsite registration in Chicago. For best results, sign up for an Eventbrite account before registering. Go to https://www.eventbrite.com/ and click Sign up. If you log in to Eventbrite before the symposium registration start time, be sure to refresh your browser, or the registration information might not display. Be prepared to select your workshops and demo when you register. All participants (both Workshops and Basic pass holders) can choose one demonstration to attend. All participants are welcome to attend the lectures and sketchwalks. On the Eventbrite site, make sure you fill in any fields with a red asterisk (*) next to them. Once you select a pass, Eventbrite gives you 10 minutes to complete your purchase. This ensures that passes still unpurchased after that time are released for others. If you purchase a Basic pass and then wish to upgrade to a Workshops pass, you will need to purchase a new pass and email symposium@urbansketchers.org to request a full refund for the original pass. Once you are registered, you can log back into your Eventbrite account at any time to make changes to your personal information or symposium selections until June 18. If you have any questions, please email symposium@urbansketchers.org. Sorry, but we cannot guarantee an official response if you post your question on the Facebook page or other social media. On Eventbrite, you can pay with an existing PayPal account OR checkout as a guest (meaning you don't need a PayPal account) using a credit or debit card. The last day to change your symposium selections in Eventbrite is June 18. After that, you will be able to see your selections but not make any changes. Click here to see how to update your symposium information and selections in Eventbrite. Urban Sketchers reserves the right to apply a $85 (USD) cancellation fee for all refunds. Due the need to finalize facilities, supplies, and programming, no refunds will be offered after May 11, 2017. Email symposium@urbansketchers.org for refund requests. Can I upgrade my pass type? To upgrade a pass from Basic to Workshops you must register again and cancel your original registration. 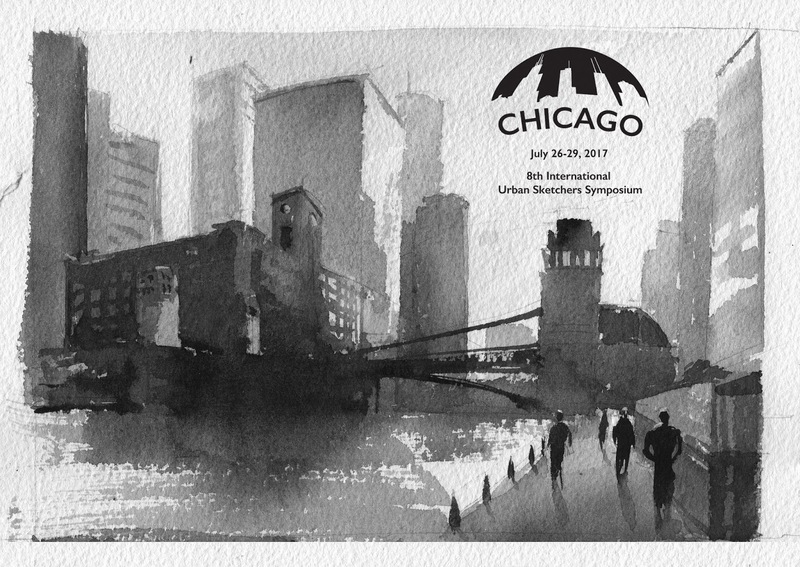 Email symposium@urbansketchers.org for a full refund. Thank you for your enthusiasm, support and love for urban sketching.